Join us for the perfect night out on the town in our nation’s capital. You’ll be treated to an unconventional tour of one of America’s most amazing art museums before heading out to sample delicious libations at some of DC’s best hidden cocktail bars. This combo tour merges two awesome Washington DC tours into one amazing night out! Experience our Smithsonian American Art Adventure and DC Craft Cocktail Tour in one fun-filled night. You’ll spend your evening learning about American history through art and cocktail tasting at some of DC’s best and hidden bars. 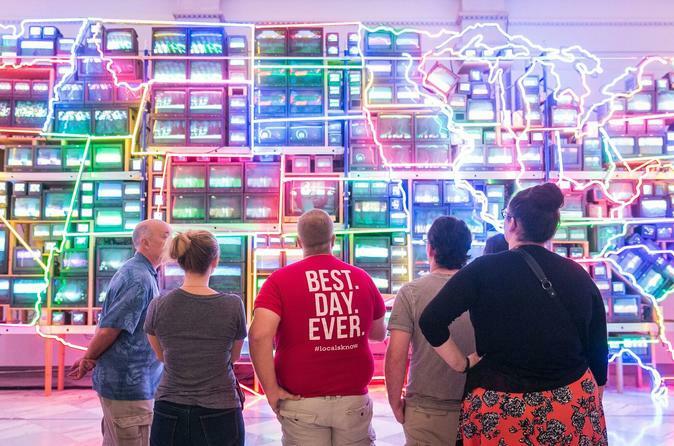 Your tour will start in the Smithsonian American Art Museum and National Portrait Gallery where we’ll take you on an interactive journey through American history. Discover incredible, unknown DC artists and famous American icons immortalized and experience some of our biggest moments in history so far. Next we’ll head to downtown DC and make our way to a few fabulous speakeasies and hidden bars. Along the way you’ll learn about how Prohibition helped shape DC, meet the people behind the bars and discover how craft cocktail culture has evolved.